Are you a fan of Chipotle restaurant? 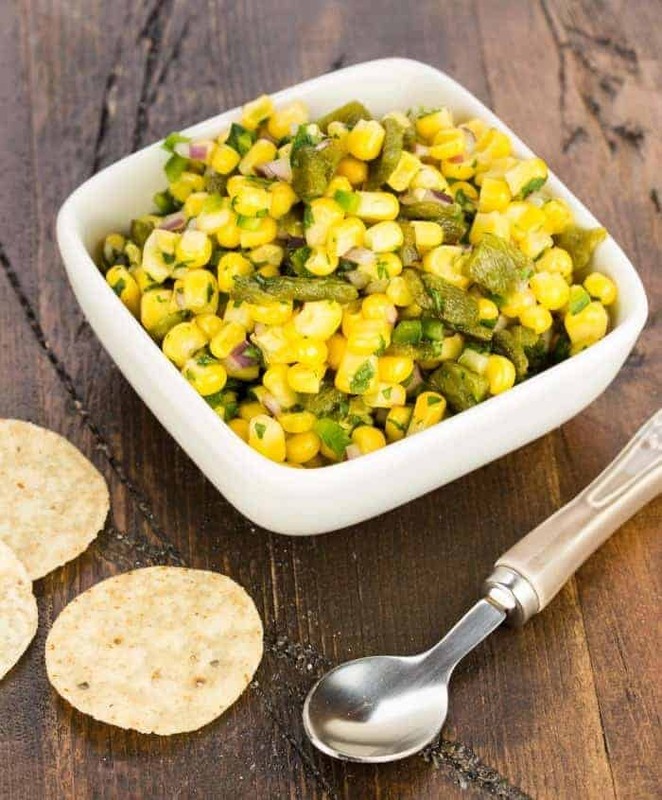 Don’t miss this recipe for a copycat version of Chipotle Corn Salsa! Listen up, friends, you’re in for a treat. It’s not often I come across knock-off versions of restaurant foods that are worthy to share, but this is one of them. Chipotle has a cult-like following, and I’m convinced part of that customer loyalty stems directly from their corn salsa. I know it’s one of the main reasons I go there. 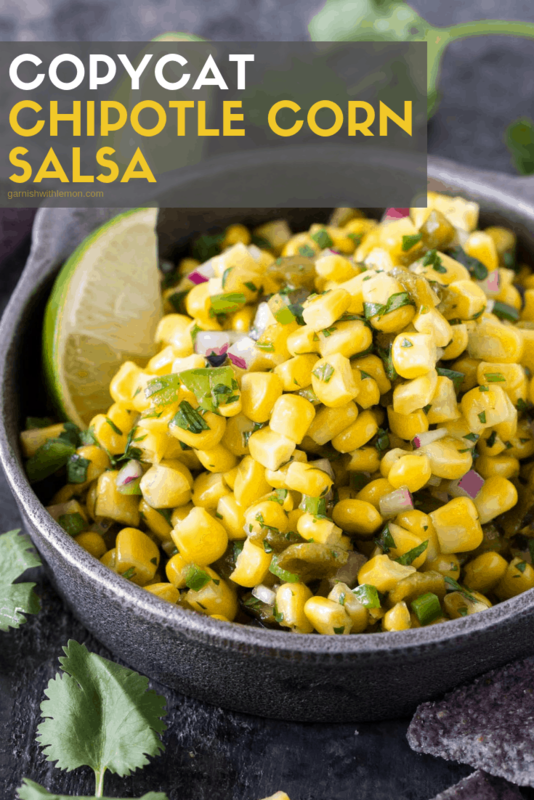 So it is with great pleasure that I present to you this copycat recipe for Chipotle Corn Salsa! We often try to imitate Chipotle’s burrito bowls at home with limited success. They are good, but they are just not quite the same as the restaurant. Except for this salsa. It is spot-on perfect. 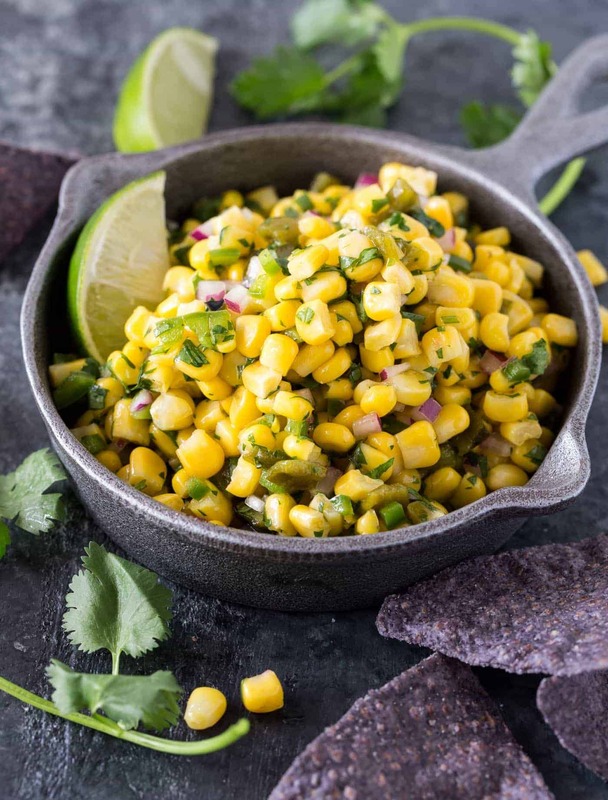 Our copycat version of Chipotle Corn Salsa is a real workhorse, not only because it is so simple to make, but also because it complements so many different foods. Of course, there is the traditional way you eat it at Chipotle, either in a burrito or bowl. 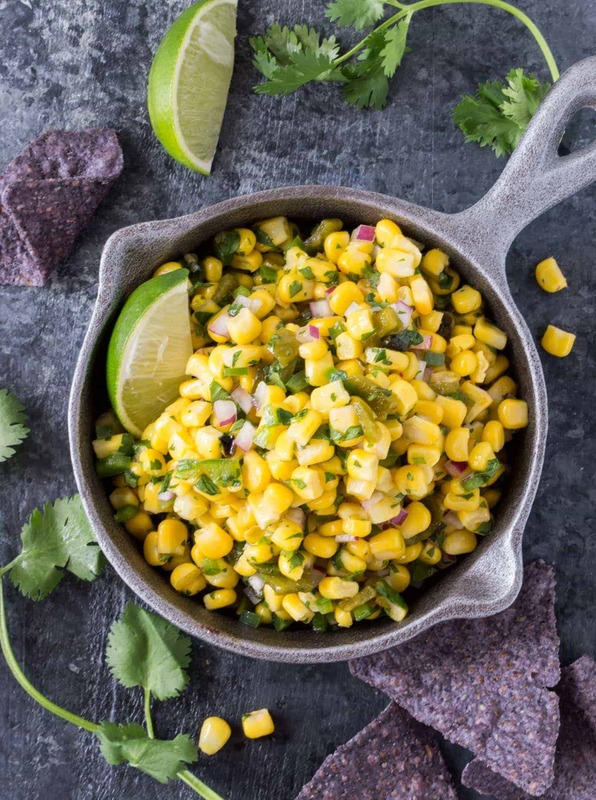 But you can just as easily top fish with Chipotle Corn Salsa. Stir it into your chili. Spoon it over eggs. And don’t miss adding it to your nacho or taco bar on game day. It will be a guaranteed crowd-pleaser. I’ll keep working on my burrito bowl recipe, but now that I have the perfect corn salsa, I’m less concerned about getting it right. I think I’ll just eat more corn salsa instead. Why fight the battle when you’ve already won the war? P.S. Can’t eat chips without guacamole? Couldn’t agree more. This irresistible recipe for Pico Guacamole is sure to satisfy your guac craving! Chips were made for dips, and these salsa recipes don’t disappoint! Slice stem off poblano and cut pepper in half. Remove seeds. Flatten pepper halves on baking sheet and broil for 10-15 minutes or until charred. Remove from oven and place in a ziploc plastic bag for 15 minutes. Remove and discard charred skin from peppers. Dice poblano pepper flesh and place in a mixing bowl. If you are using fresh corn, cook it in boiling water for 2-3 minutes, or until tender. Mix the corn (if using frozen, add it here) and the remaining ingredients in the mixing bowl with the poblano pepper. Stir and serve. This looks really nice, very nice salad idea. I was looking for a salsa to try for this weekend. This might be it! I could live on Chipotle for every meal I think. Love love love their salad bowls and their salsa. I can’t wait to try this recipe. It has been pinned so I don’t lose it! Interesting new take on salsa, this was a hit with my friends. It always disappears! Thanks for your note!